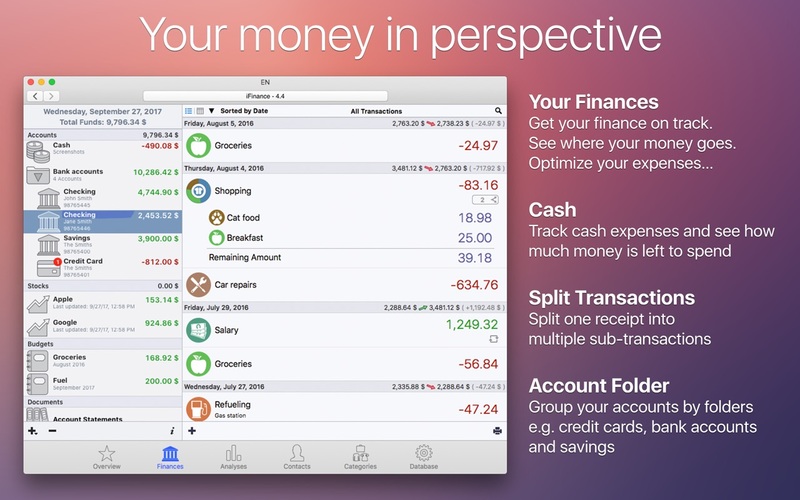 iFinance 4.4.9 – Comprehensively manage your personal finances. Next story iSkysoft iMedia Converter Deluxe 10.2.0 – iSkysoft Video Converter. Previous story Kiwi for Gmail 2.0.15 – Turns Gmail into a full-powered Desktop client. iFinance 4.4 – Comprehensively manage your personal finances. Debit & Credit 2.5 – Personal finance manager.